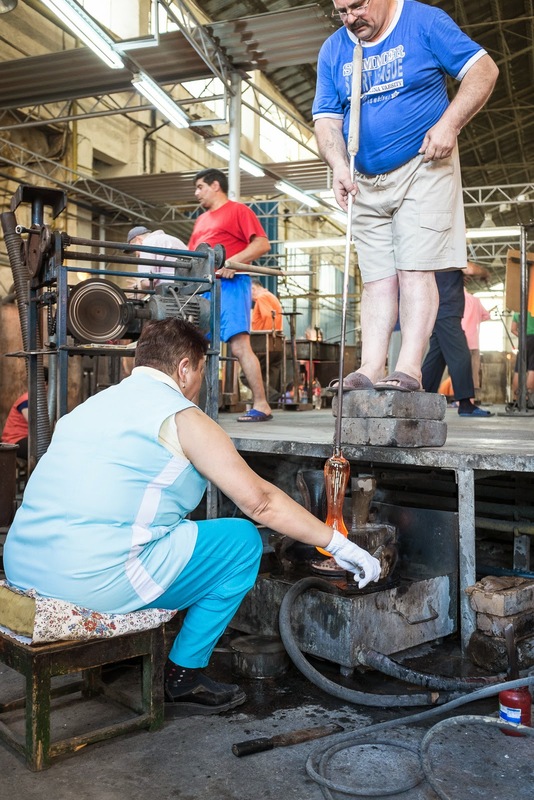 During our tour of Transylvania, we stopped at the Vitrometan Glass Factory in Mediaş. 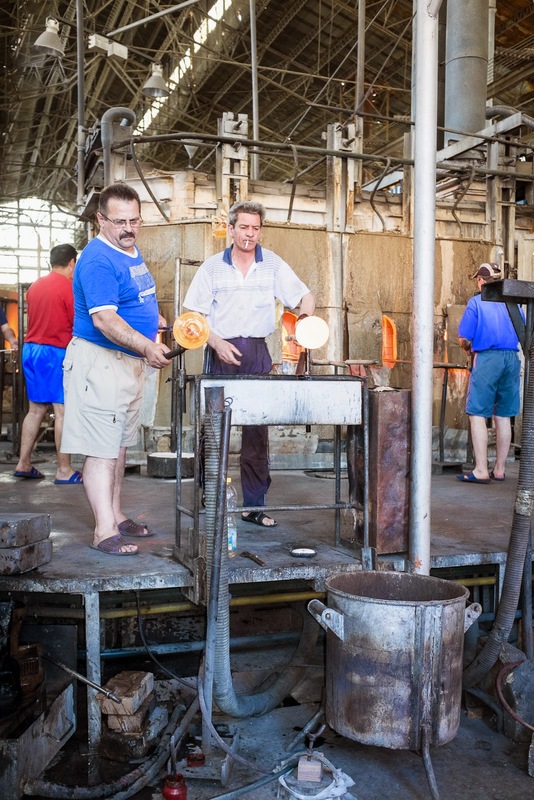 Now, this factory produces hand-blown glass for export through a middle-man to companies like TJ Maxx and Ross without credit to Romania as the country of origin. 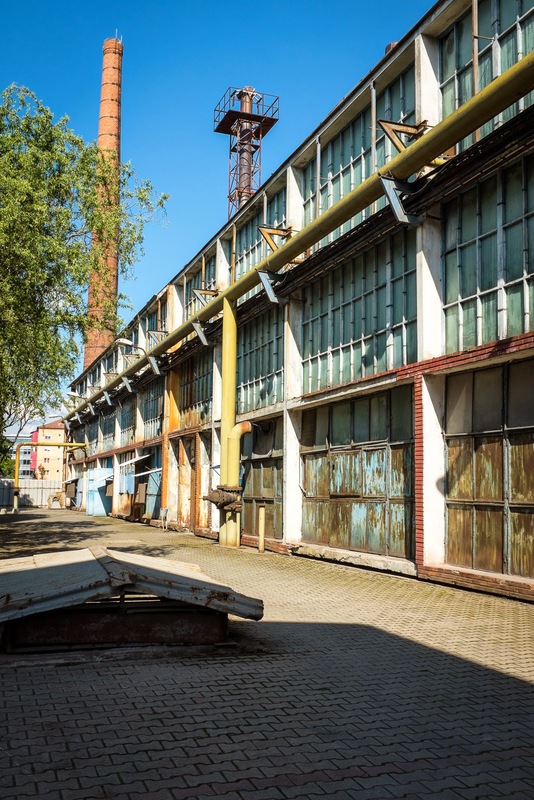 Pre-1989, this factory employed over 3,000 people who worked around the clock with 11 furnaces operating. 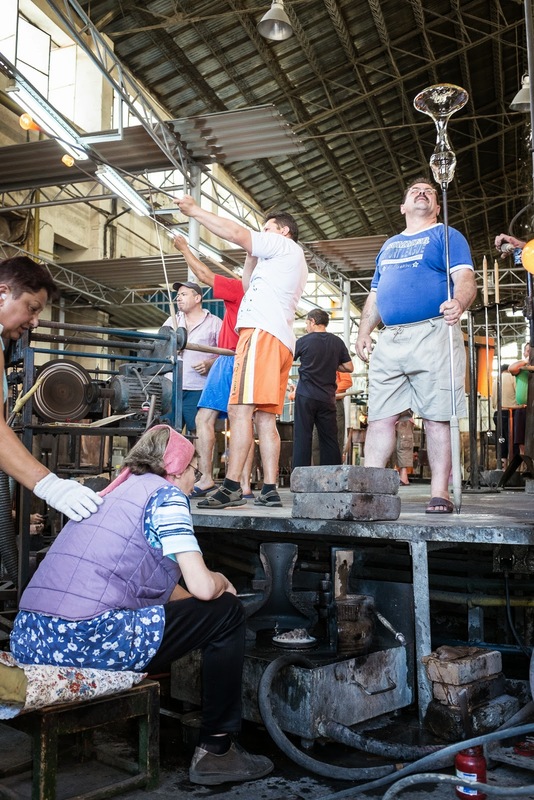 Today, the factory employs about 200 people over 2 shifts. Only one furnace still operates. The factory itself is run down, looks derelict, mostly vacant, and has many broken windows. Inside around the one operating furnace, it looks like a scene from Dante's inferno. The work done here is production work. 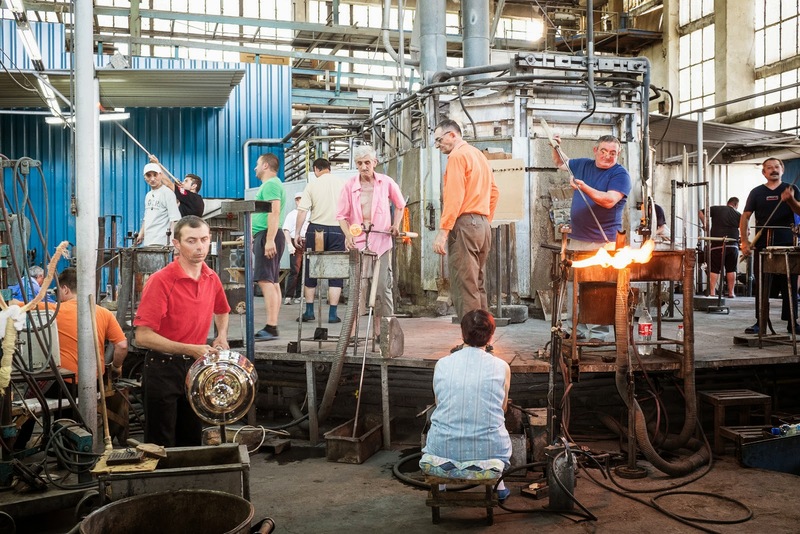 Several people (I counted 6) contribute to each piece of blown glass. It was quite cool outside, but inside was hot even though running water was cooling the furnace walls. Imagine the heat in the summer. 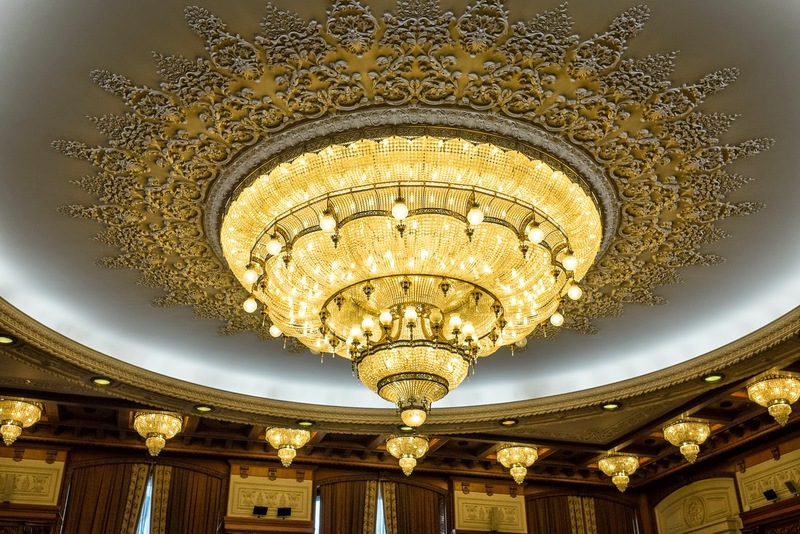 This factory made all 480 crystal chandeliers for Nicolae Ceausescu's "People's House" (Casa Poporului) in Bucharest. Many of them were so large that they had to be assembled once they arrived at the Bucharest building. In 1984, the foundation was laid for the palace. By 1989, the construction of this building with 3.77 million square feet (the second largest building in the world--the Pentagon is the largest) had caused the demolition of 9,000 homes, 8 churches, bankrupted the country, and the population was forced to survive without food, water, electricity. In 1989, the people decided they had had enough deprivation and overthrew Ceausescu. Ceausescu and his wife were tried and found guilty of genocide. Within hours, on December 25, 1989, both were shot by a firing squad. In January 1990, the new government outlawed capital punishment. 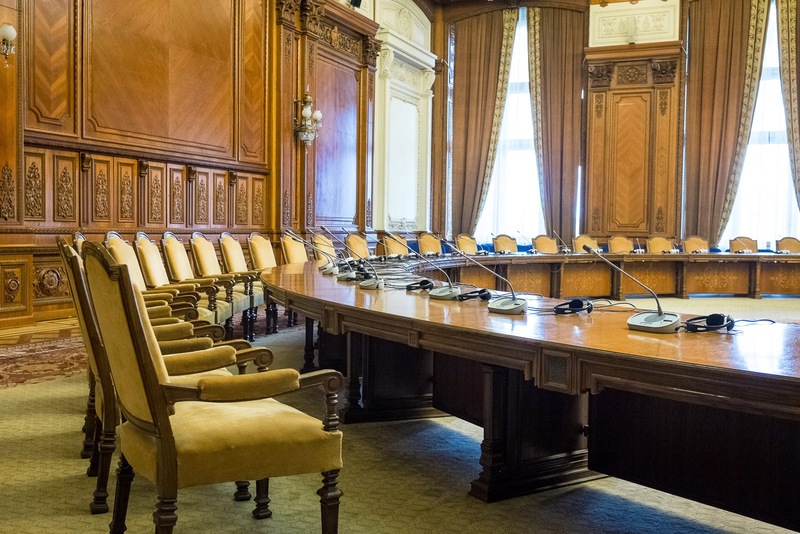 Although Ceausescu referred to this enormous building as the People's House, it was to be the administrative and political seat of government; he also planned to live there. 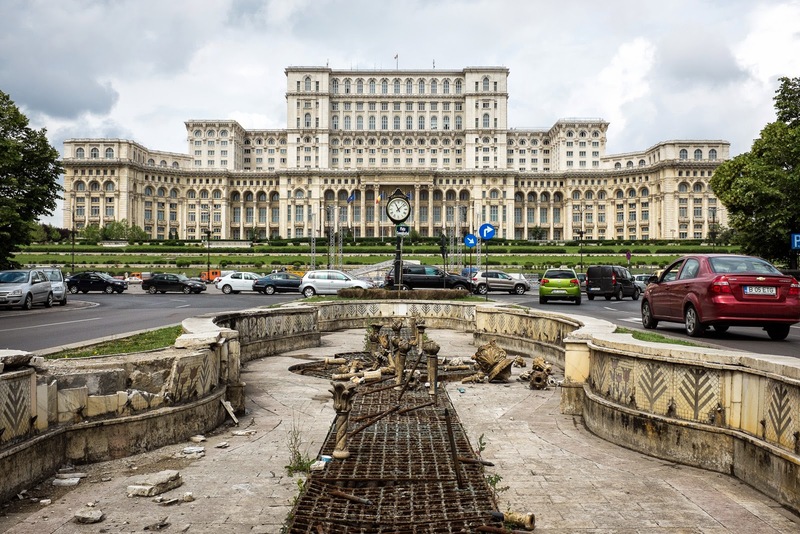 To build this structure, Ceausescu borrowed heavily from willing countries. He wanted to pay the debt down quickly and the payments were very high. In fact, the loans were paid off just before the revolution. 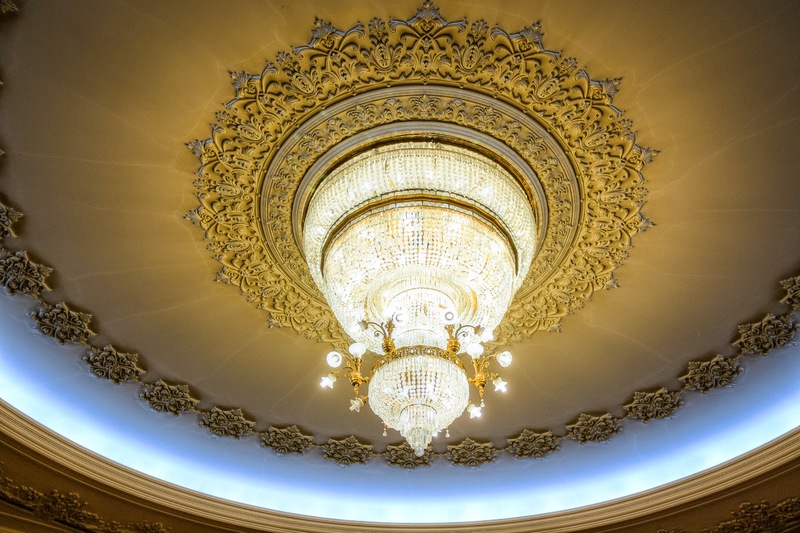 Many of the architectural details had to be constructed multiple times until Ceausescu was satisfied. No one knows exactly how much the building cost to construct, but estimates come in at about 3.5 billion Euros. 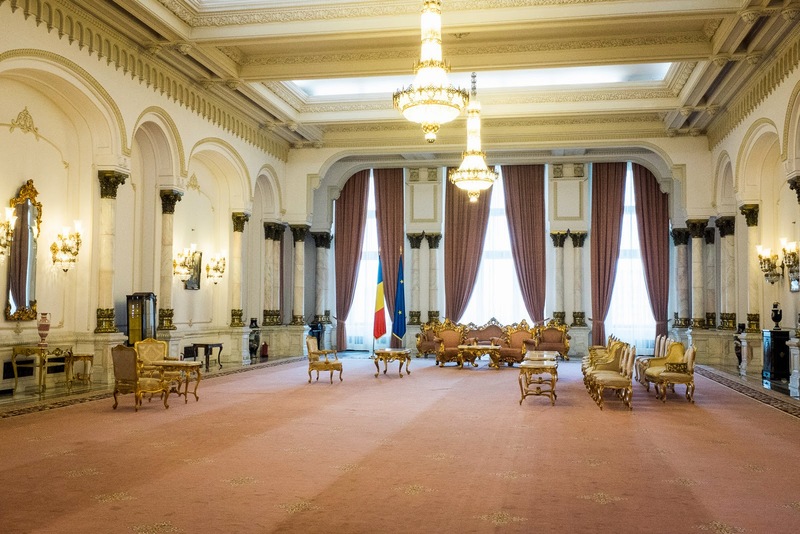 All materials (wood, granite, marble, textiles) were sourced from Romania. 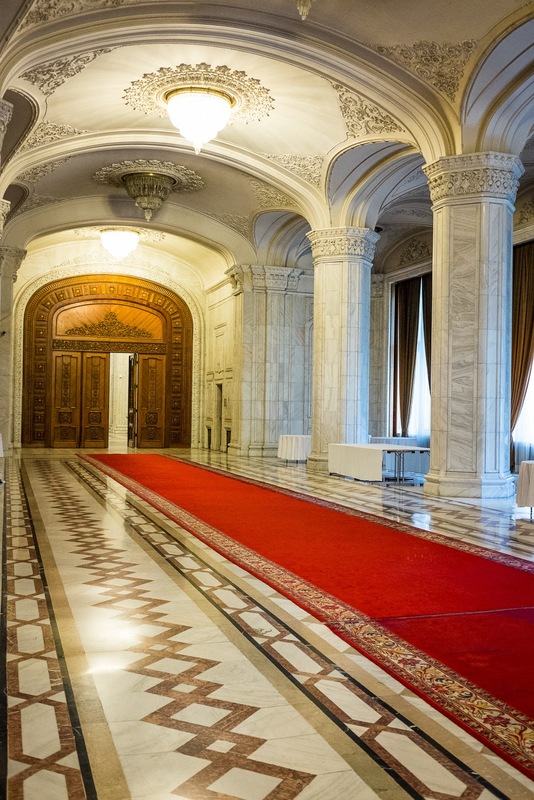 Like the chandeliers, the carpets were so large that they were loomed and assembled inside the building. 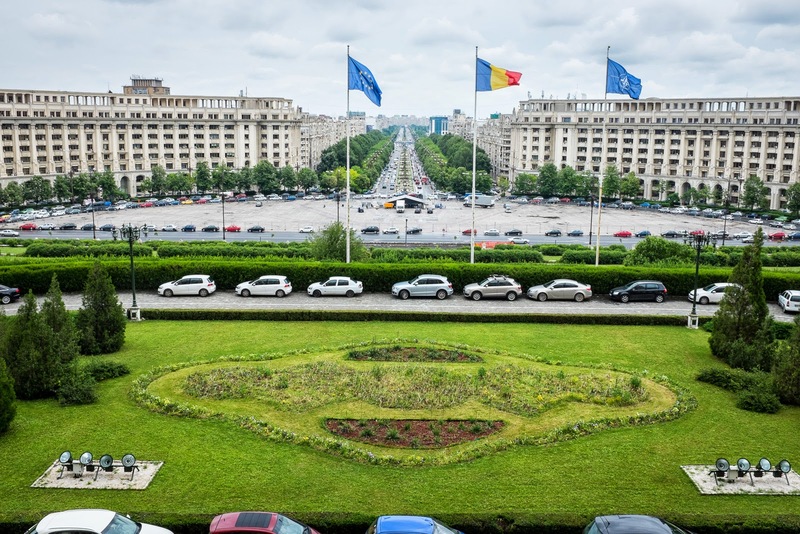 A nuclear shelter large enough to accommodate the entire population of Bucharest sits 60 feet below the building. Also, below ground, somewhere, is a swimming pool. 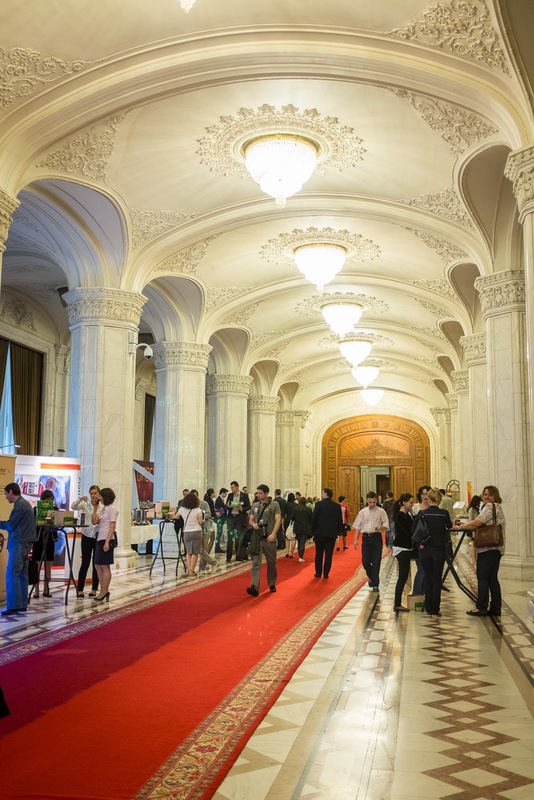 Once back in Bucharest, we took a tour of the People's House building now called Palace of Parliament (Palatul Parlamentului). Our guide who was too young to experience Ceausescu directly, said she prefers to ignore the man and the suffering he caused and think of the structure as a piece of art. 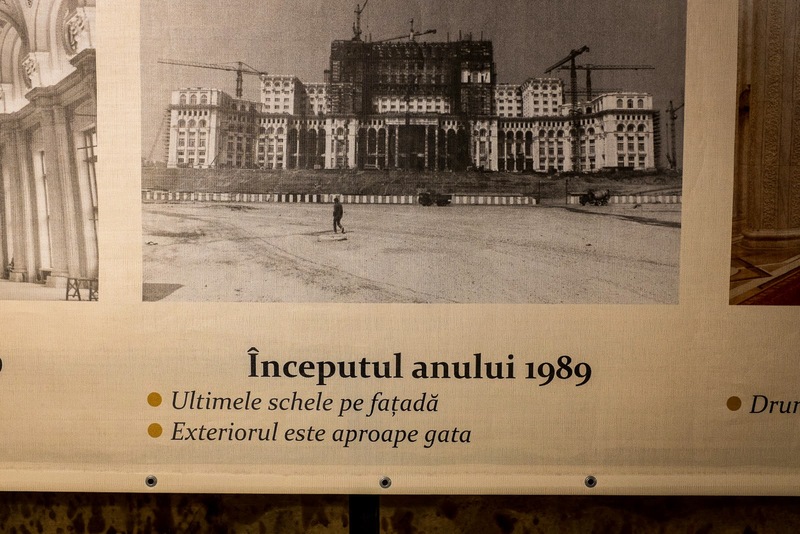 When Ceausescu was executed in 1989, the building exterior was mostly finished. There was a discussion about whether to continue the construction or not. The demolition costs were estimated to be larger than the cost to finish so it was finished. The People's House hasn't held up well. Maintenance is an issue. Fountains on the road leading up to the palace have crumbled. The surrounding landscape is not manicured. 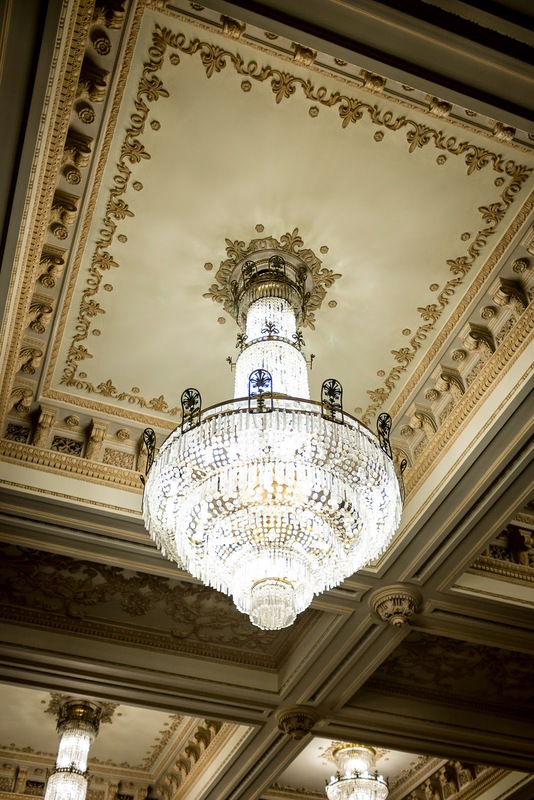 Many of the crystal chandeliers were unlit or missing bulbs. 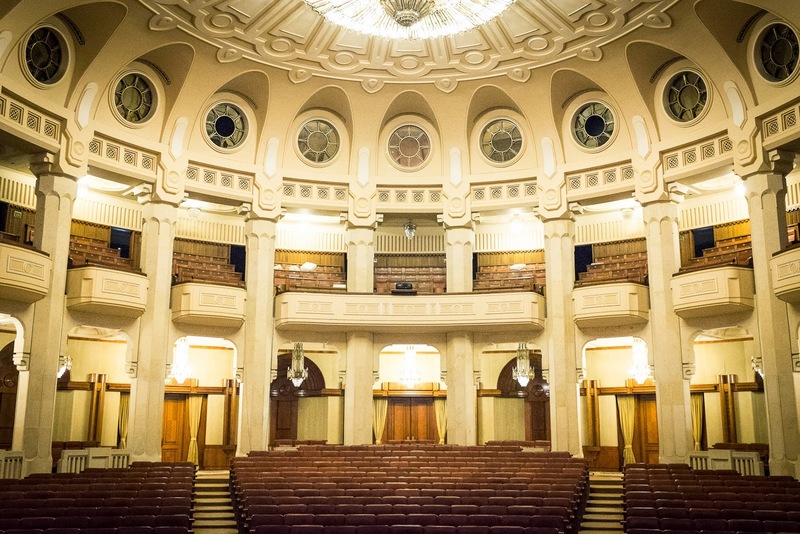 In the 80s when the entire building was lighted, the electricity consumed in just four hours could have lighted the entire city of Bucharest for an entire day. 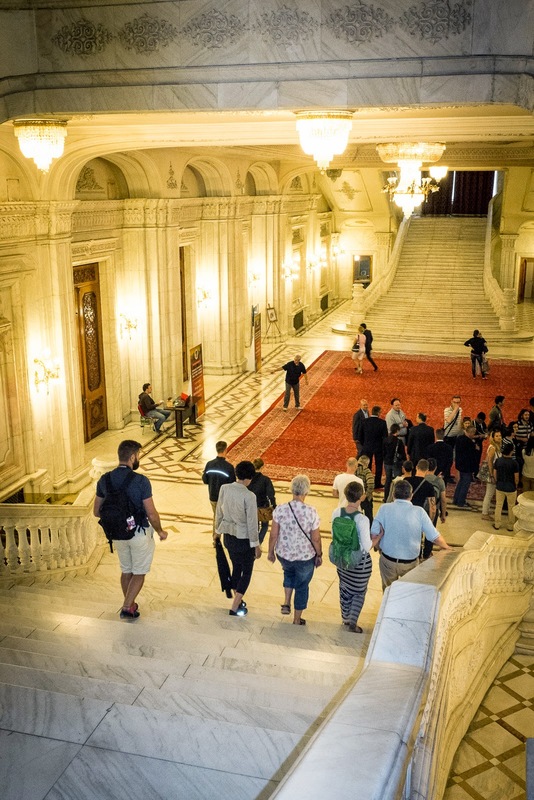 The massive marble double staircases on the formal entry floor were re-built five times to satisfy Ceausescu's demand that he be able to walk down the stairs without looking down. He envisioned his wife descending from one staircase and he from the opposite staircase gazing into each other's eyes, meeting in the middle space, walking together toward the formal entry to welcome visiting dignitaries. He did not have the chance. 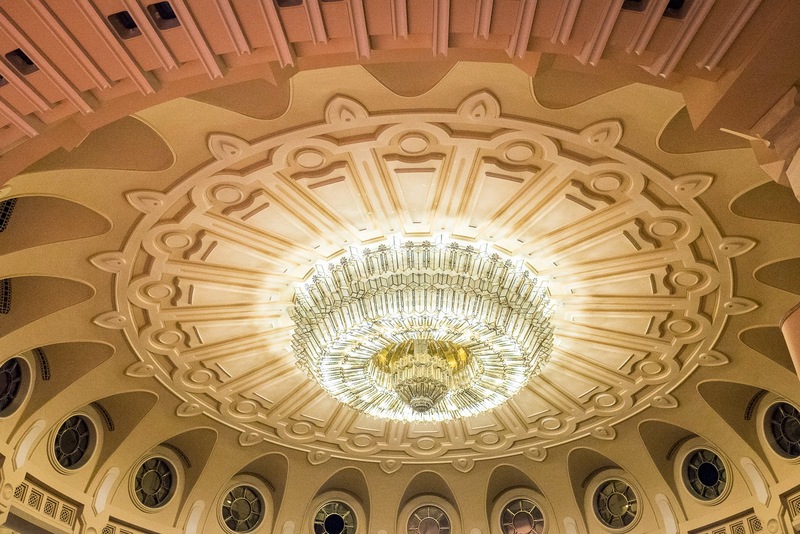 The largest chandelier weighs 2.5 metric tons. The road leading up to the Palace was made to be exactly one meter wider than Paris' Avenue des Champs-Élysées. Currently, there is discussion about what can be done with this building which houses the senate. Rooms are often rented out to conferences, seminars, and trade shows. The tour covered only about 4% of this massive structure. Many of the rooms are vacant and maintenance costs are too high for a country that cannot even properly fund their doctors and hospitals. The People's House is a mausoleum of delusions and greed.